Reproduction in Mammals is intended to meet the needs of undergraduates reading zoology, biology, biochemistry, physiology, medicine, veterinary science and agriculture, and to be a source of information for advanced students and research workers. 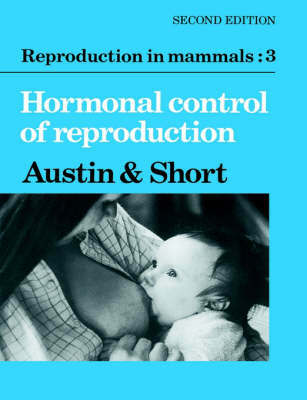 It is published as a series of small textbooks dealing with all major aspects of mammalian reproduction. Each of the component books is designed to cover independently fairly distinct subdivisions of the subject, so that readers can select texts relevant to their particular interests and needs. This volume consists of a series of thought-provoking essays by people with a number of very different backgrounds, including biology, comparative anatomy, psychology, psychiatry and moral philosophy. They discuss the physiology mechanisms, adaptive significance, clinical picture and social impact of a variety of patterns of human sexual behaviour, thereby providing a balanced and informative account of a highly sensitive and emotive subject.